Stop by booth 407 and 409 to learn about new ways to support and integrate your STEM initiatives. 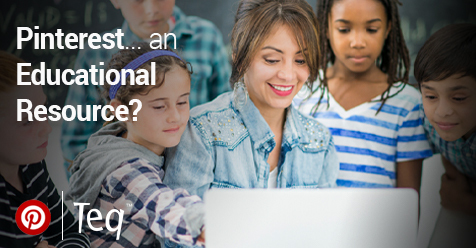 We’ll be showcasing the robotics, coding, and maker solutions that bring learning to life – and talking about how to build your teacher toolkit with Online Professional Development: the best technology-centric eLearning platform out there. We’ll also be introducing iBlocks – a groundbreaking way to integrate STEM into your curriculum. With iBlocks, we collaborate with you to create a learning pathway that’s custom-built for your students and all about personalized, project-based, and hands-on learning. The Teq team is a combination of Team Executives, Professional Development/Curriculum Specialists, and Marketing Specialists - all dedicated to increasing student achievement. 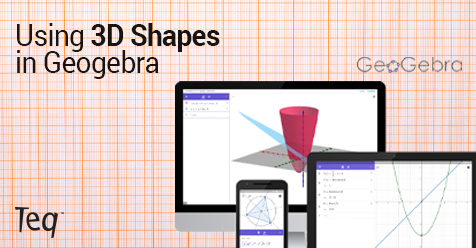 The post Using 3D Shapes in GeoGebra appeared first on Teq. The post Stressed with Exams? 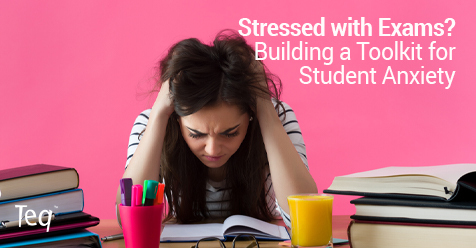 Building a Toolkit for Student Anxiety appeared first on Teq. The post Pinterest… An Educational Resource? appeared first on Teq. Check out the latest Teq Tips. The post Enable Closed Captions in Google Slides appeared first on Teq. The post Google Slides in SMART Notebook Files appeared first on Teq. The post HTML Widgets for SMART Notebook appeared first on Teq. Let’s put together a plan.Use the form below to schedule a meeting time with us. © Copyright 2017 All rights reserved. Tequipment, Inc.